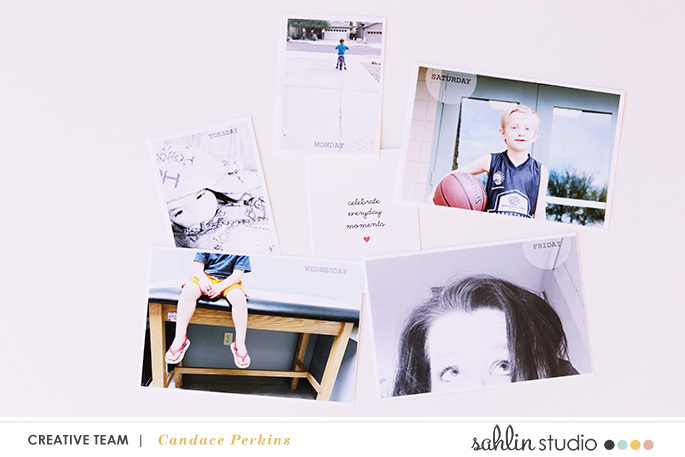 So you’ve finished creating your page – the photos look great, the color palette is awesome, you’ve embellished everything exactly how you envisioned it – but there is just one problem. 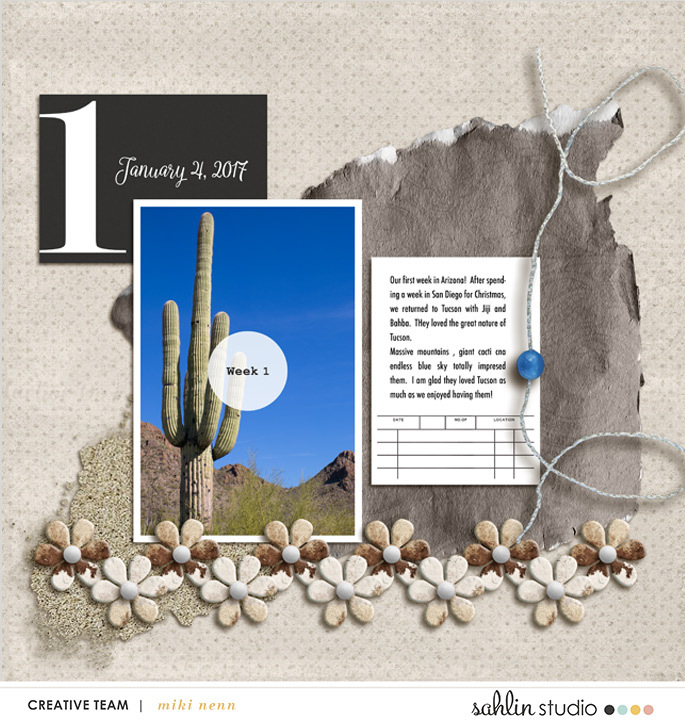 You realize you forgot to leave a spot for the date! 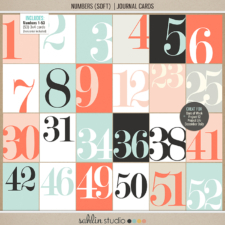 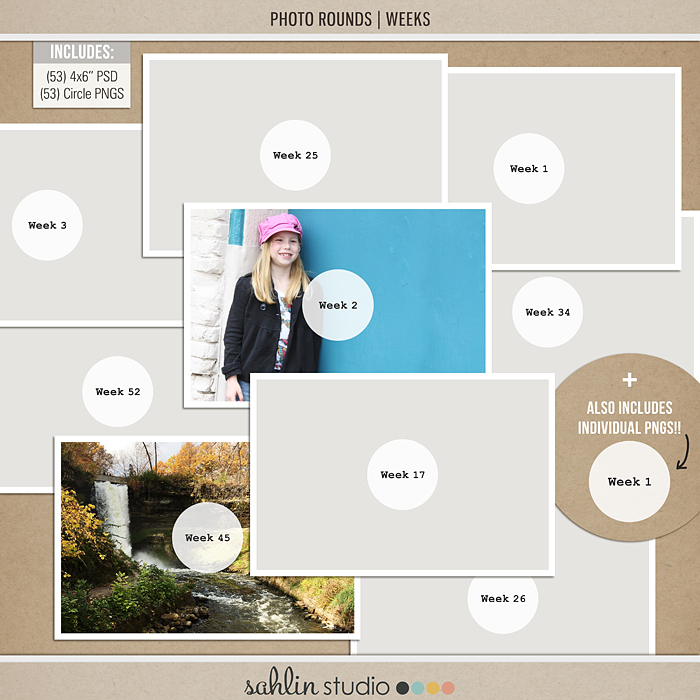 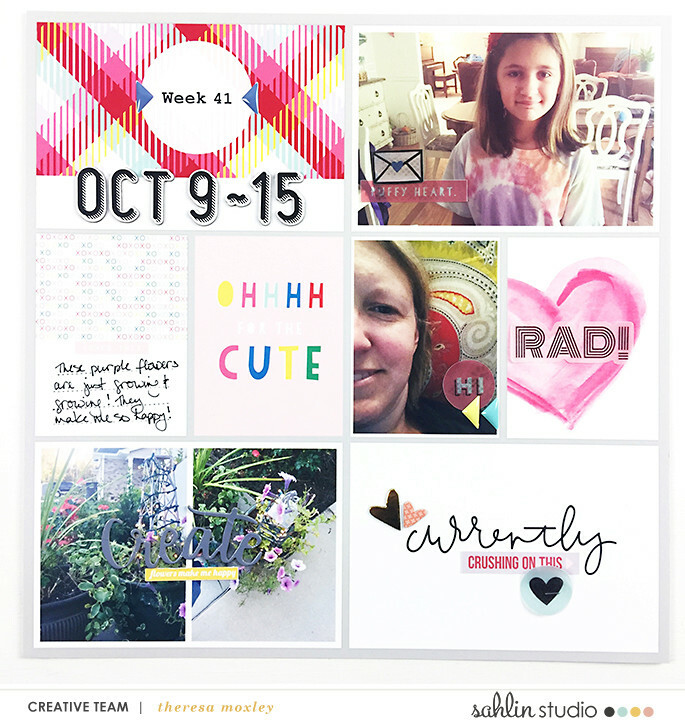 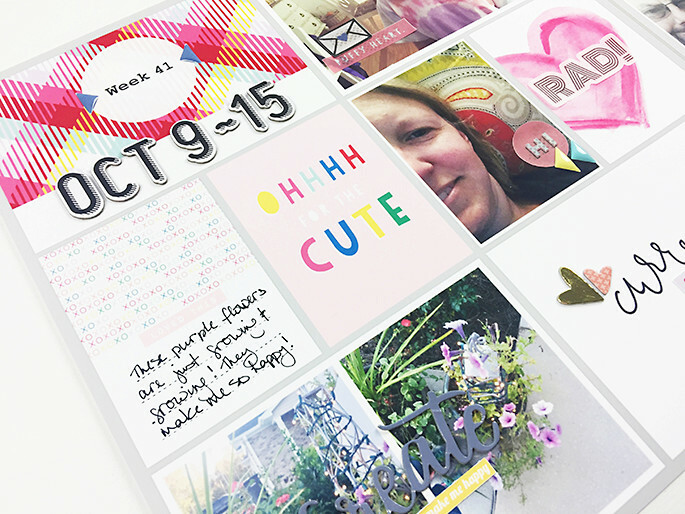 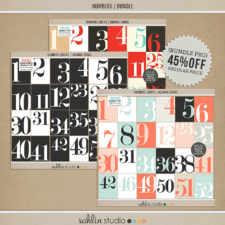 Have no fear, my photo template pack, Photo Rounds: Days is all ready for you!! 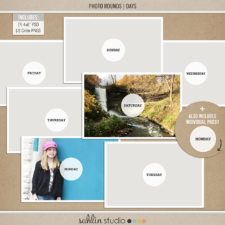 Just pop your photo into the PSD template or use the PNG file to drop onto of your photo, and you’ve added the day of the week to your layout in an instant! 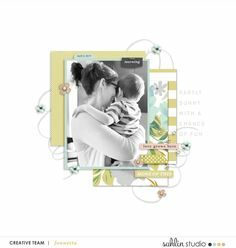 You can easily leave the word art as is for a soft, vellum look, or layer them for a more opaque style. 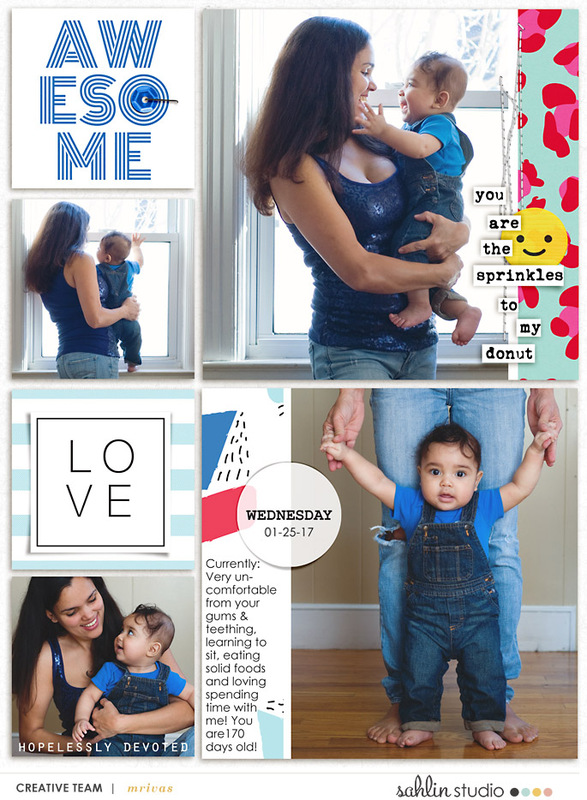 They can even be dressed up with embellishments or further journaling (think text paths around the outer edge!) 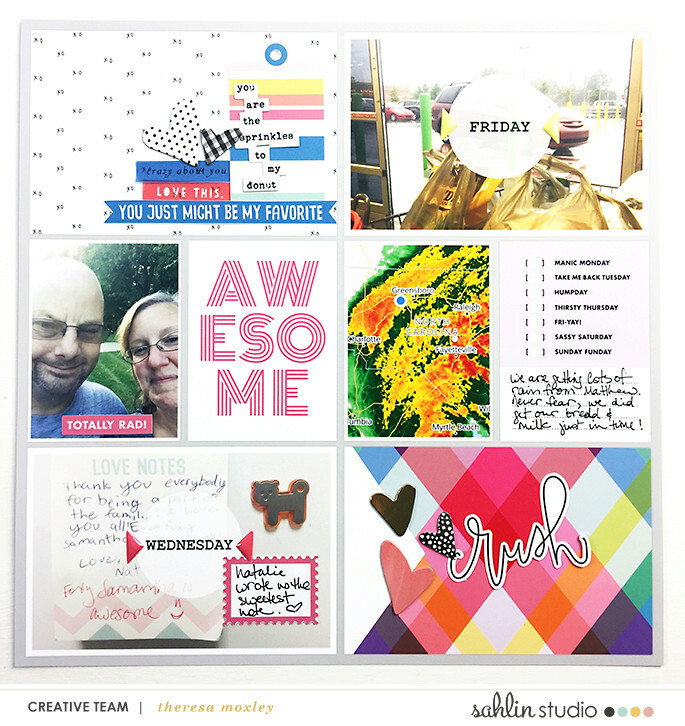 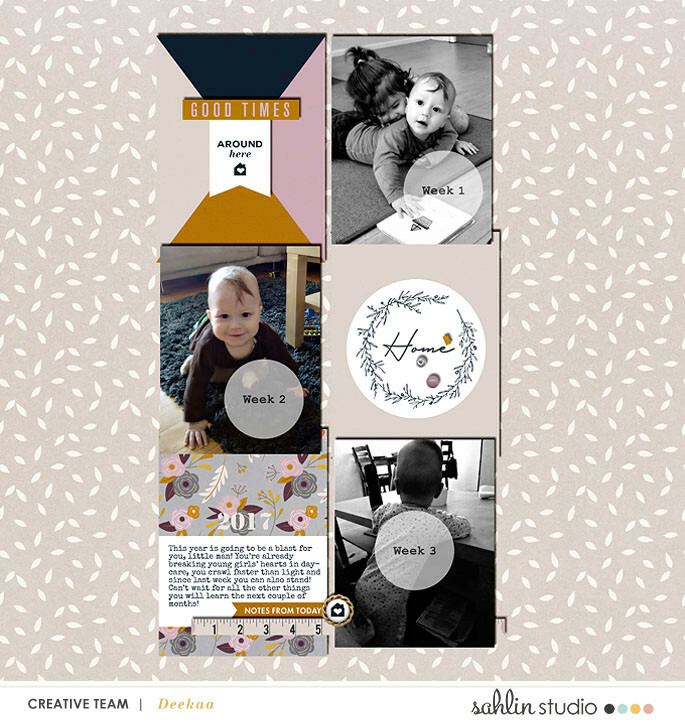 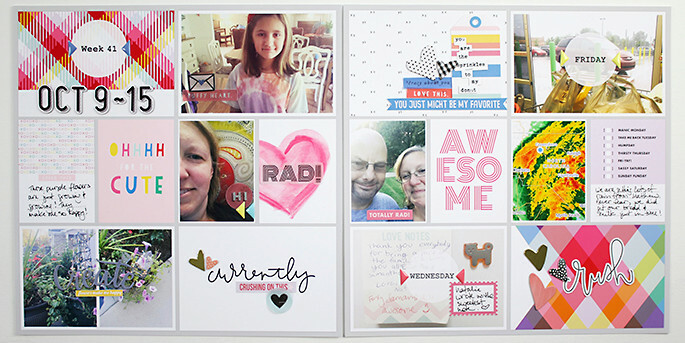 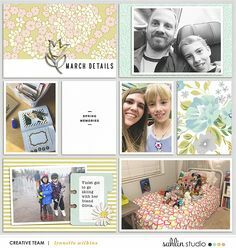 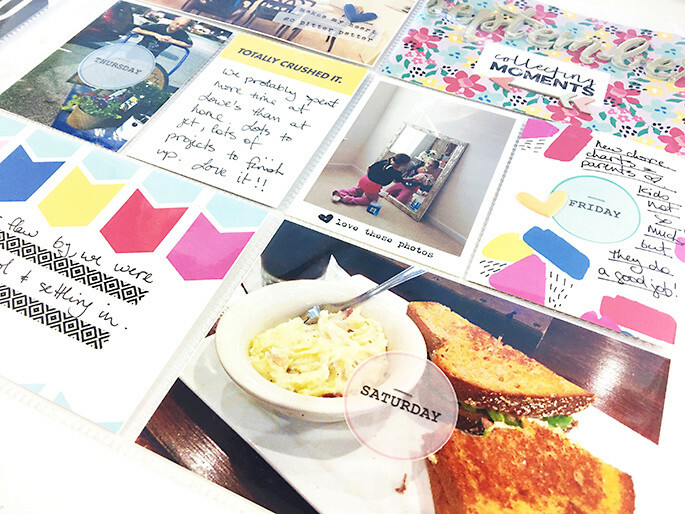 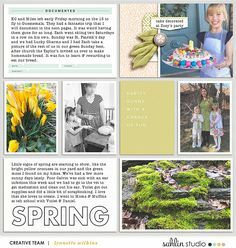 No matter how clean & simple, or gorgeous and clustered your personal scrapping style is, these photo templates are perfect for your digi layouts, Project Life albums, and all manner of day-to-day photo documenting.